Spatial distribution and temporal variation of epibenthic assemblages of coralligenous biogenic rocky outcrops occurring in the northern Adriatic Sea (45°04′–45°24′N; 12°23′–12°43′E) were investigated by photographic sampling from 2003 to 2006 at 12 randomly selected sites. The dominant reef-forming organisms were the encrusting calcareous algae (Lithophyllum stictaeforme, Lithothamnion minervae and Peyssonnelia polymorpha), while the main bioeroders were boring sponges (Cliona viridis, C. celata, C. thoosina, C. rhodensis, Piona vastifica) and the bivalve Gastrochaena dubia. Composition of the assemblages varied thorough years and among sites. Spatial heterogeneity, at local and regional scale, prevailed over temporal variation. This variability was related both to the geo-morphological features of the outcrops and to environmental variables. Sites clearly differed in the percent cover of reef builder and bioeroder species while only limited temporal variation within site was found. Some taxa revealed complex intra-site temporal trends. 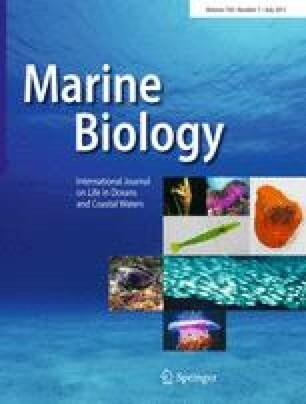 These results provide valuable information on the diversity and variability of epibenthic assemblages of the northern Adriatic coralligenous reefs, essential for the management and conservation of these unique biogenic habitats. This study is part of the PhD thesis of F. F. We would like to acknowledge Marco Bertolino, Carlo Cerrano, Francesco Mastrototaro, Guido Bressan for their taxonomic help, Marco Zavattarelli and Luca Giacomelli for oceanographic data, Andrea Pasteris for statistical support, and the no profit association “Associazione Tegnùe” for the logistic support. We also thank two anonymous reviewers for their useful comments.